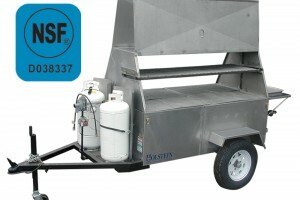 We have NSF Listed grills and cookers. An NSF Listing is your assurance that the product has been tested by one of the most respected independent certification organizations in existence today. 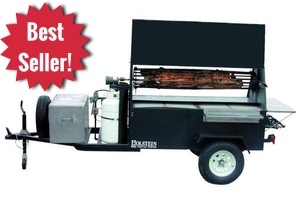 Our top selling towable grill is one of the sturdiest and reliable on the market. Also made in Charcoal models and Stainless steel. The grill for the producer groups, the company picnics, or the caterer that need something on site. 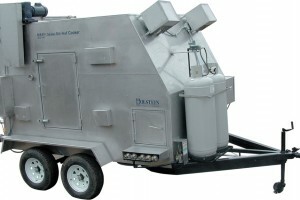 Model 306, sweet corn and potato cooker is the food concession industry’s answer. People will line up to experience the great tasting corn and potatoes. Look at the Model 150 too, the smaller version. These grills are ideal for the large outdoor gatherings. 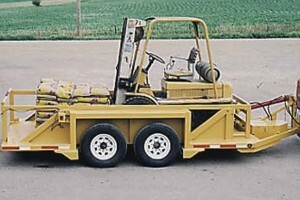 The heavy duty construction lends itself to any use from rentals, to catering, to employee cookouts. 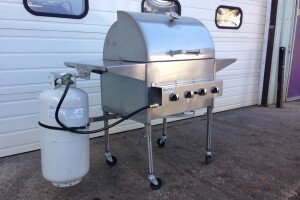 Our outdoor gas grills can handle the demands of commercial use as well as residential use. 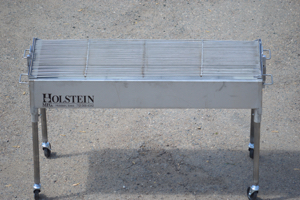 Heavy duty material and precise fabrication allow our outdoor gas grills to last a long, long time. Great for the annual family reunion, backyard cookout or any occasion where grilling food is a must. The cooker that was designed with the serious caterer in mind. A rotisserie convection cooker with the ability to smoke, these stainless steel units will allow you to prepare for any size gathering. Available in three sizes. 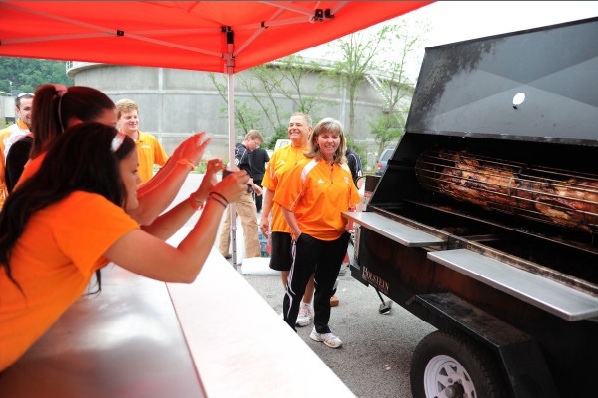 Our roll top grill is perfect for backyard cookouts and many other outdoor events. 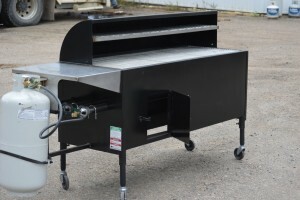 Check out our new line of “Pitfire” grills and our roll top rotisserie unit. 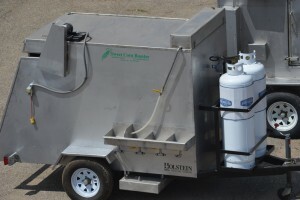 All of these units makes it easy for the amateur to smoke and grill like a pro! 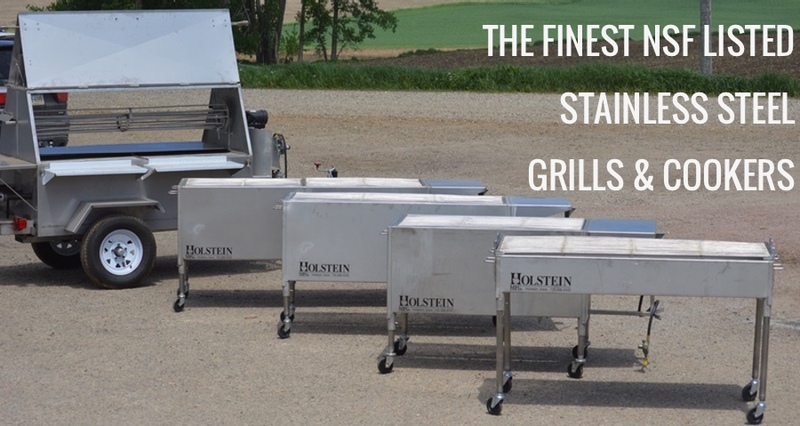 Anything and Everything for our towable grills, to make your grilling experience customized for your needs, whether it be extra side tables or rotisseries you should take a look. 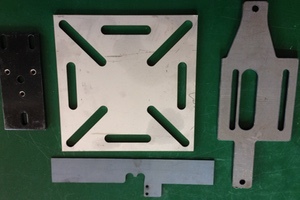 We have state of the art equipment to design, fabricate and produce metal parts, custom signs, weld metals, and deliver precious products in a timely manner. 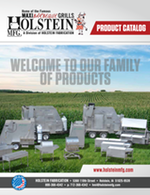 Some of the best trailers in the industry, built with safety in mind! From the convenience and ease of our Hi-Lo Level Loading Trailers to our Gooseneck Flatbeds, we can help you move it safely! 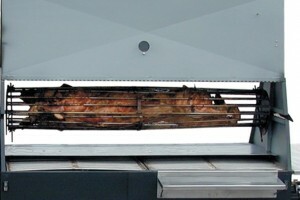 A Model 7240G Hog Rotisserie in action!